This particular Adams F2 Custom Flugelhorn is made of gold brass with a brushed lacquer finish, and has a .55mm wall thickness. 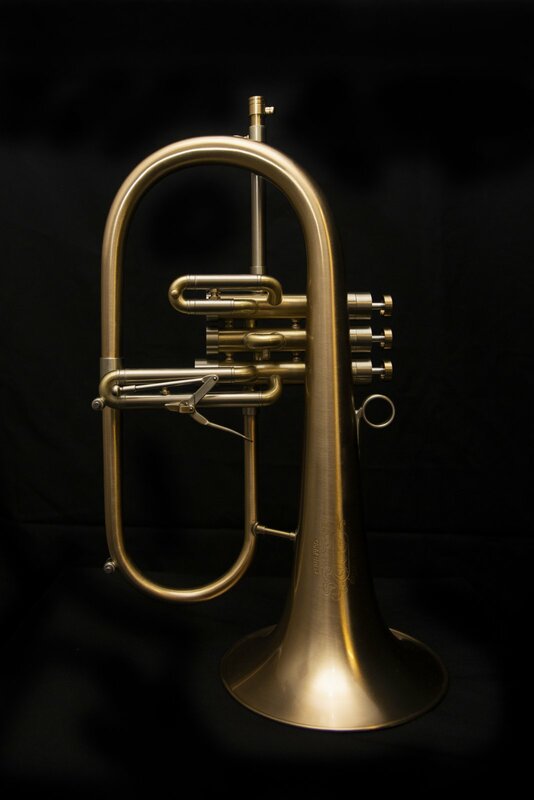 Manufacturer's Comments: The F2 flugelhorn is the heavy brother of the F1, also with a ML bore but only available with a 170 mm bell diameter and a heavy 535 gram brass valve section. The instrument has standard designer finger buttons in Honduras Rosewood. A great choice for those players who prefer a heavier feel and large bell.